Last week was Spring break for our daughter. I think she enjoyed the laid back days and being able to sleep in a bit each day and so did mommy. Although we did not do anything in particular last week, we certainly were extra busy. We were kept busy with Easter activities, several girl scout outings, a few doctor appointments, and ended the week with my in laws at a gathering for Easter a week later. It is back to the grind today and man I am super tired. One of the things I had been wanting for quite a while was a waffle maker. I purchased our waffle maker about a year ago and have only used it a few times. One of my favorite ways to use it is with tater tots. It is amazing how good those tater tots tastes from the waffle maker. If you haven't tried that yet, just place a handful of thawed tater tots in the waffle maker and cook them away. They get nice and crispy and make a perfect hash brown to go along with your waffles. I keep frozen berries in the freezer to make healthy smoothies on a whim. 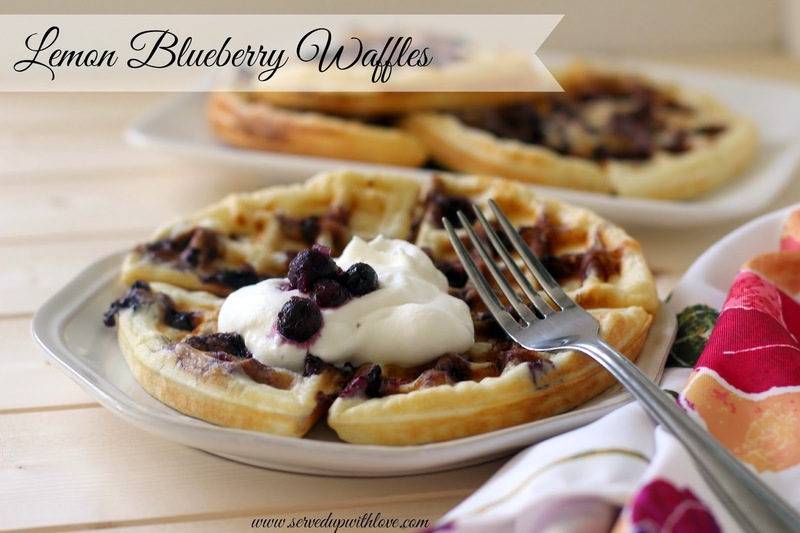 So I knew I could amp up the flavor of just a plain waffle with some blueberries and the family would be happy. 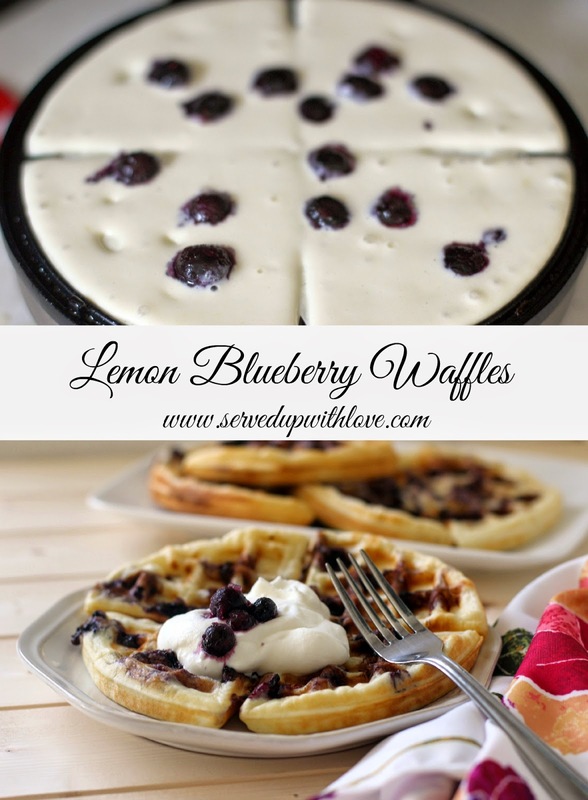 You can top your waffles with maple syrup, fresh whipped cream and berries, or even a little lemon curd. So tell me in the comments, what do you put on your waffles? iron and place frozen berries on top of the batter. Cook until golden brown. 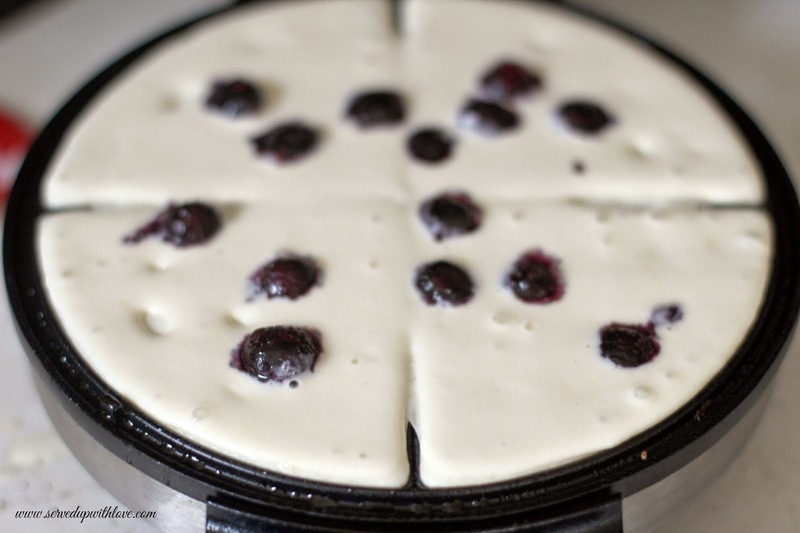 Cooks Note- placing frozen berries on top of the batter while on the waffle iron rather than mixing in prevents the batter from turning blue. Wow!! Sounds so yummy. Very inviting.